Creative writing is the heart of the i.t.a. intervention program, and high school teachers who have our graduates in class frequently comment on how well they write. And that is because, as you know, our students write every single session that they spend with our tutors. They progress from phonological analysis of single words to composition of sentences, paragraphs and stories. 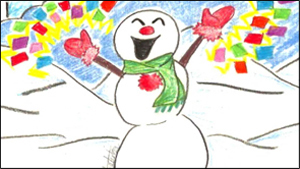 Check out the creativity of this story about a snowman searching for his family, written by a fifth grade i.t.a. student from Haiti. This overview of the i.t.a. 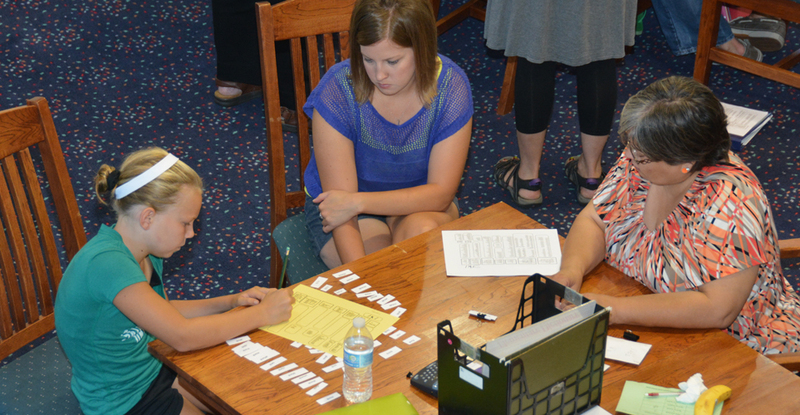 writing program begins with introduction of the i.t.a. sound-symbol system and includes creative writing in the very first i.t.a. intervention session. The progression from i.t.a.-only writing to traditional orthography with Slash and Dash for unknown words is demonstrated in the powerpoint “i.t.a. writing program” and these two videos. 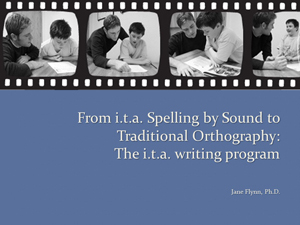 This presentation from our 2014 annual conference reviews the progression of the i.t.a. writing program. Spelling by Sound using i.t.a. allows a young writer to use words that are in his receptive vocabulary but that he as yet does not know how to spell. A demonstration of how information about spelling patterns of English can be woven into sessions on using i.t.a. to “crack the sound code” of polysyllabic words. Carol demonstrates how to help students track syllables and sounds and write in i.t.a. in order to develop phonological awareness. Shelley and Cole demonstrate how i.t.a. can be used to spell unknown words when writing compositions or taking notes.